As Doug Smith rides past the half-way mark in Going the Distance for SMARTS, we keep charting his progress on our front window. 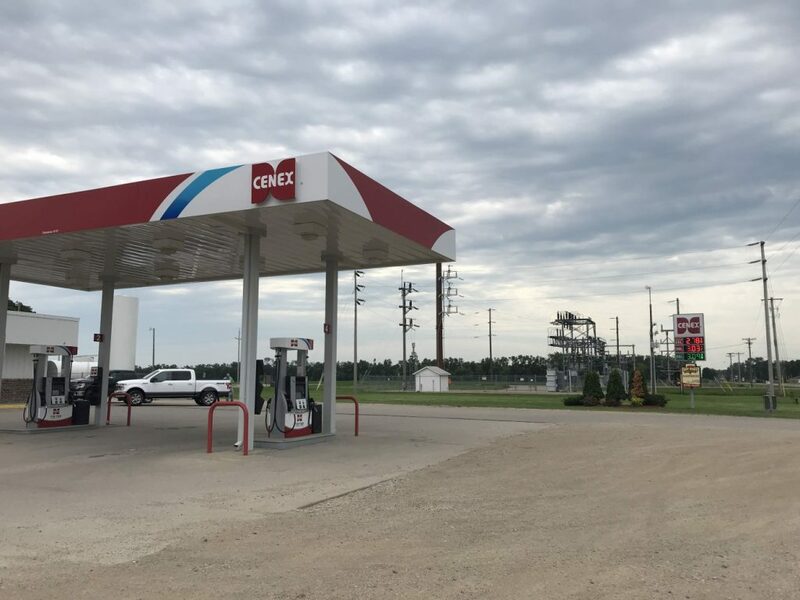 Along his trek, he’s become fond of chocolate milk breaks at Cenex convenient stores. It wasn’t hard to find a little irony in his photo post yesterday….on Wednesday, 7/11! We hope you’ll come visit our SMARTS location in Downtown Youngstown and check out all we have to offer in arts education. Even better than chocolate milk! 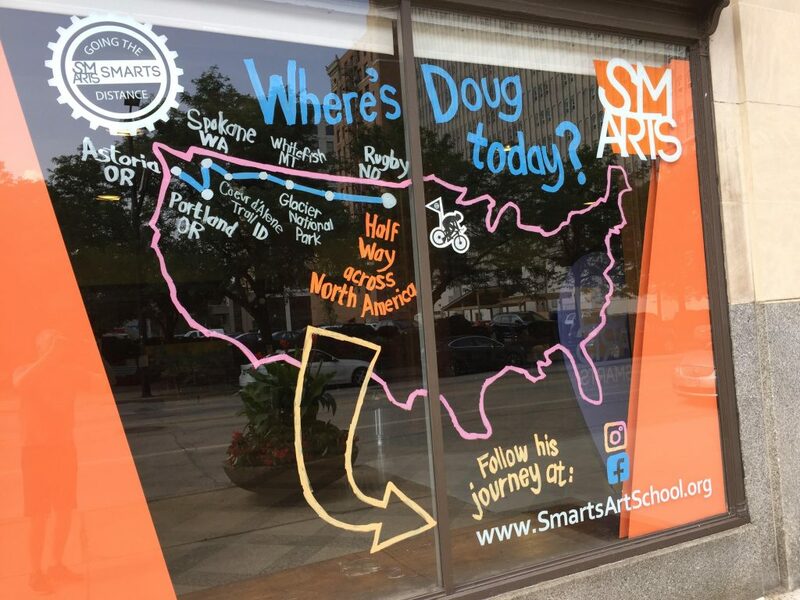 Check out Doug’s whereabouts when you pass by our front window at the Ohio One Building, 25 E. Boardman St. or you can always follow Doug’s cross-country bike ride at https://www.smartsartschool.org/going-the-distance-journey/or https://www.facebook.com/SMARTSartschool/.